Cigarettes are the only legal consumer product that, when used as intended, kill up to one-third of regular users. The Surgeon General’s report on the dangers of tobacco came out 51 years ago so we have known of the public health implications of tobacco for half a century. We are just now beginning to understand the potential dangers of electronic cigarettes, especially for young people. Despite 50 years of knowledge, it still has a powerful hold on Missouri and Kansas. With that in mind, we’re helping announce an effort, called Tobacco 21 | KC, to increase the minimum age of sale and purchase of tobacco products, e-cigarettes, vapor products and paraphernalia to 21. 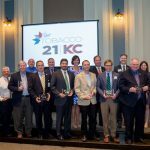 Tobacco 21 | KC, launched by HealthyKC, brings together more than 100 organizations and individuals committed to supporting the minimum purchase age increase. HealthyKC is a collaborative effort developed by the Greater Kansas City Chamber of Commerce and Blue Cross Blue Shield Increasing the minimum purchase age is one of the most effective ways to prevent kids from starting a noxious habit that can end in their early death. This effort is beginning none too soon, either. 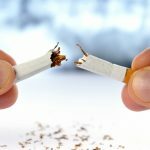 Both states eclipse the national average of high school students who are current tobacco users (23 percent in Missouri, 24 percent in Kansas). The lowest rate of use in the U.S. is 9.6 percent. Those numbers do not factor in electronic cigarette usage, which is an increasing problem in area high schools. E-cigarette use among youth across the county has more than doubled in recent years, and that is especially concerning because many young people who begin using e-cigarettes convert to using cigarettes and other tobacco products. Implementing Tobacco 21 | KC matters because 90 percent of committed smokers had their first cigarette by age 18. Research shows that the parts of the brain that are in charge of decision making, impulsivity, and pleasure seeking are still developing in the 20s. That makes a young brain particularly susceptible to the addicting effects of nicotine. To put it plainly, young people ages 16-20 are more likely to seek out tobacco products and more likely to become addicted when they do. The Health Care Foundation is dedicated to improving health in the community and we know that it makes more sense, in both cost and suffering, to prevent disease than to have to treat it. 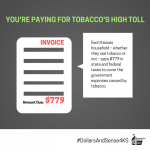 Tobacco is the number one cause of preventable illness in the United States, and this is our opportunity to help young people get started on a pathway to health. If you would like to support Tobacco 21, visit Change.org and sign the petition. Tell your city officials that you’d like to see Tobacco 21 in your community.